I know things are a bit messy in Sochi at the 2014 Olympics, but the Winter Olympics have been a favorite of mine since I was a little girl. Regardless of the negativity I’ll be supporting our athletes, watching the opening ceremony and of course the figure skating competitions. I’ll be rooting for Gracie Gold and team USA! Seriously, wasn’t it every girl’s childhood dream to be an ice skater? For me that would’ve been impossible, growing up in a tiny town where an ice skating rink didn’t exist. I’ve never even taken a lesson, haha! 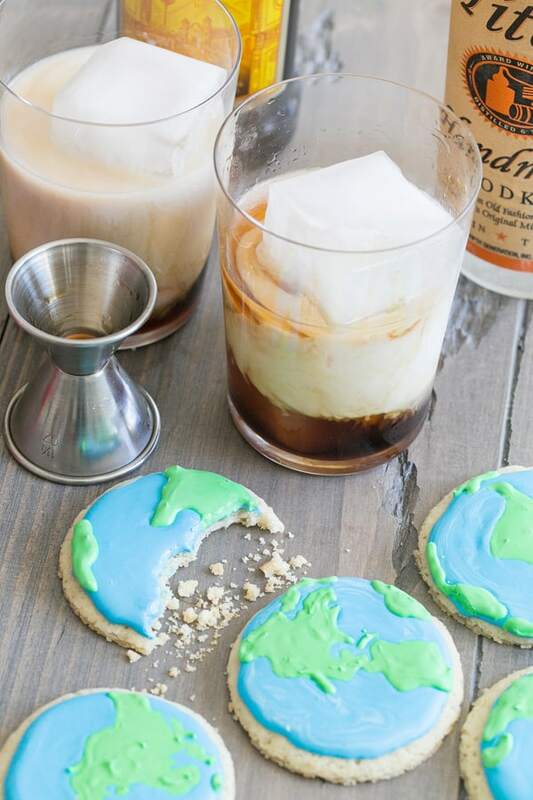 When I was thinking of a charming entertaining idea for the Olympics, I thought about world sugar cookies (cookies that have the earth emblazoned in the icing!) and delicious White Russians! 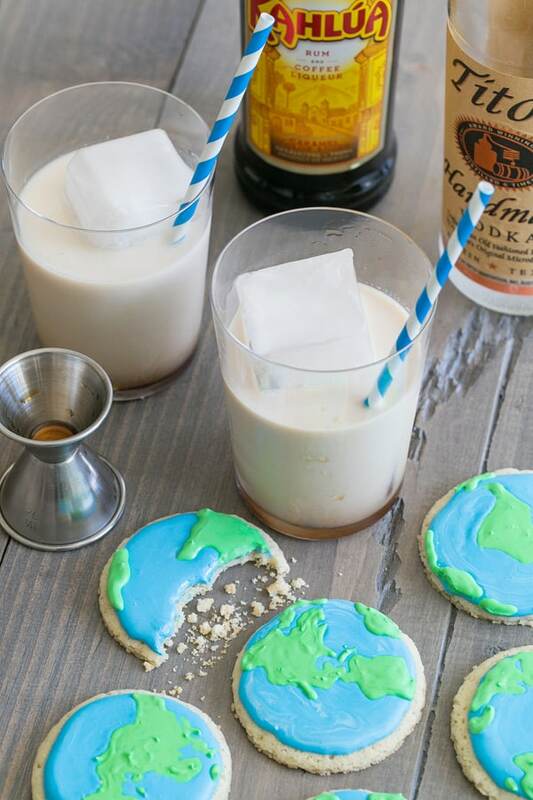 It’s cookies and milk for grown-ups and if you haven’t had a White Russian before, you’re in for a treat! We’ll be having some friends over this Friday, ordering in and of course sipping White Russians, eating world cookies and maybe some red velvet cake too. Happy 2014 Winter Olympics! Pour the vodka and coffee liqueur in a glass over ice. Top with milk and stir before drinking. Using your favorite sugar cookie recipe, cut out circles, bake them and then let cool. I used the frosting recipe below and separated it in half to make blue and green. When you create the blue, leave a little white showing so it creates a slight swirl in the blue, which resembles clouds. Using a very thin tip, pipe on the green frosting once the blue has dried. 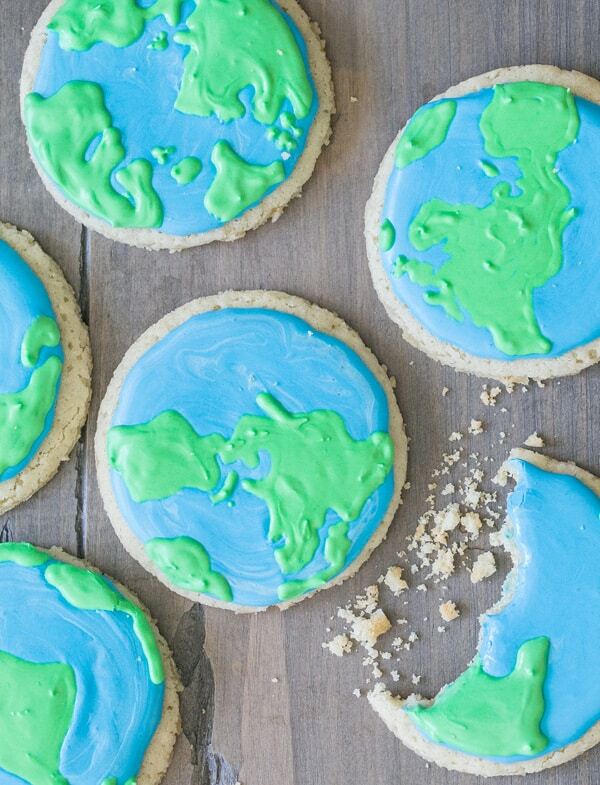 your ‘world cookies’ look amazing!